We never talk about it...but why not? It may be simple, but it's a damn good menthol. Unpretentious, but a little layered. You can taste that tobacco. A pretty lovely thing, if you ask me. I feel like it's the unloved child of the Toque line. Is it just me, or does a certain snuff need a hug? not a big fan. It's got the absoulte worst level of menthol in my humble opinion. I either want just a hint like sparrow color give me one of the Wilsons blow your head off. It's a fine snuff but not really one I'll buy again. That said the toque fruit/menthol offerings have the perfect ratio of mentol to fruit scent in my opinion and are all winners. The menthol cherry is great glad it doesn't blow my head off. Just my opinion. I don't like toque orginal either again I want more sp in my sp if you dig what I'am saying. A puppy died when you wrote that. Every time someone makes Toque Menthol sad, a puppy dies. It is alone, it is afraid. It is also cold, but that's probably just the menthol. I'm a fan of Toque Menthol. There are other snuffs that use only menthol as a flavoring, but somehow, none of them give me the same hit of pure menthol satisfaction that Toque does. And, as noted above, the tobacco base is pretty tasty, too. No, it's not fancy, but I don't think it's supposed to be. Sometimes simple is beautiful. Yeah, its fine for what it is. Nice and simple. Oh, you are men of stone. 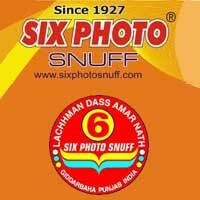 I'am glad the snuff exsists. It is just if I'am buying toque I'am going to get something it's not going to be the menthol. Why cause of my feelings for menthol. To my mind menthol isn't a scent it's an effect. If I want that effect I'll want it big or just a hint. Toque menthol deserves ups and propers for being in the middle and would probably be a more liked snuff by me if I liked menthol more for the scent because it's levels are right for all day snuff. That's not what I'am looking for, though that doesn't mean I don't occasionaly recomend it to people. And if a puppy has to die for the truth I guess that's just how it is. Also I'am sure if you asked the man behind toque he'd tell you that the sales of that one are not substandard. Toque menthol is my go to snuff when I want a face punch. It hits hard and fast but doesn't last too long. It's funny how menthols are different. For instance the menthol in 6 photo No.66 is not as strong but lasts a lot longer and doesn't clog me up as quick. I use Toque menthol in conjunction with other snuffs most of the time. I don't bother mixing snuffs externally anymore I just mix them in my nose. I'll take a pinch of one snuff then a pinch of menthol so the menthol isn't the only thing I smell. Toque menthol is good and gets the job done. So bob...what are your favorite toques, then? Have you had Peanut Butter? Pretty damn fabulous. I am with you, by the way, on their SP. I hate the peanut butter there is just a strange note to it that hits me wrong. Love the grape (for some reason it's always mislabeled as champagne for some reason). I love the toffee it's so great and butter. I love the natural. I love lime toast. I love Whiskey and Honey it's probably my favorite toque. I love the floals I've tried especialy the rose (I've not had a rose snuff do not like. I love the espresso although the scent isn't strong it's inredibly complex. I like the peppermint. So basically almost all of the toqe nuffs I've tried (I'am not in a ruh to try all snuffs (I do plan on trying all of them eventualy). I love Toque Menthol. Ordered my first 25g tin about a month ago and it has been my go to snuff since it arrived. A lovely menthol snuff if you asked me. I'll be coming back to this snuff many times. I think if I was looking for an all day menthol snuff or an all day nearly everyday menthol this might be my go to. @Cros You support my point well. For me natural scents are the all day snuff. So this is what menthol snuff is supposed to be like huh? All I've ever tried was Ozona President, which is ok, and the Toque Fruit/Menthol lines. This will be a regular for me from now on. It even cools my upper lip where a little has spilled. i like it. get a hint of lavender or something under the menthol in mine. My favorite Menthol is McCs O&G. But I use Toque a Menthol on a daily basis. Toque fruit menthols are superb. Cherry menthol is my favourite. Its been so long since I had any of their fruit menthols that I might need to order some. Menthol is better, in my opinion, during the cooler months as that rush of cold air mixed with menthol in the nose is very relaxing. During the more humid months here I find menthols just clog my nose up pretty bad but the drier winter air works nicely with them. It's alright not my favorite menthol, but good when I am more of an easy going mood. Menthol has no place in my snuffboxes. It's a different menthol aroma than in most medicated snuffs. I wonder if it has something to do with @Roderick's natural policies? Perhaps it's mint oil from plants rather than synthesized menthol crystals? I know Toque has camphor in the stable because there's a Camphor & Clove (haven't tried yet). Are there any Toque snuffs with eucalyptus? 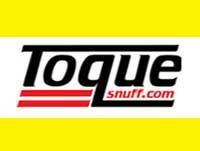 Would be interesting to try Toque take on a menthol + camphor + eucalyptus! I rather like the Toque Menthol. Very cooling and mixes perfectly with any other Toque if desired. Makes me feel like my nose is running because I get the upper lip cooling effect noted above. The fruit menthols are absolute perfection. toque menthol is quite relaxing for me with a strong menthol punch. I enjoy it most when my nose needs a reset between different snuffs. Toque makes the BEST fruit/menthols, but my favorite straight menthol is Hedges. @moemojo Raspberry Menthol in the nose now. toque menthols are actually good in my opinion.